So, you created a beautiful, meaningful and challenging course or exam with our online course builder. You invited your colleagues to this course or exam to learn about your topic or to test them, and you want to reward them for completing the course or succeeding in the closing exam. Handing out certificates the old fashioned way is time-consuming and asks for a lot of organizing. Enter our completely automated certification course. From our Business Owl plan and up you can create a certificate. 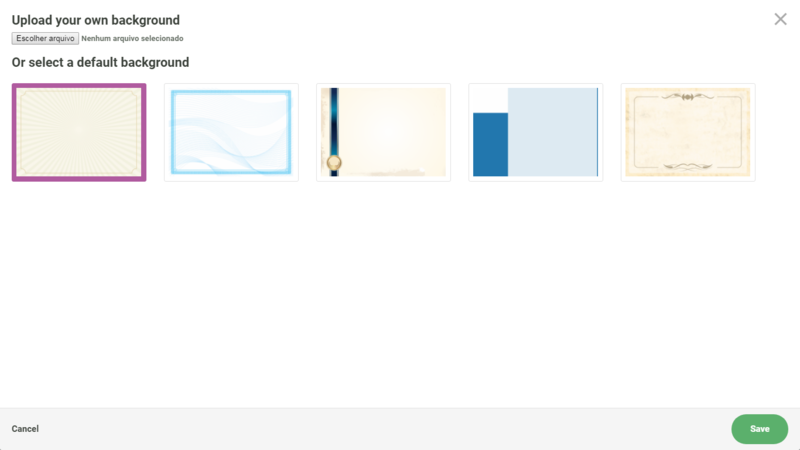 You can choose one of our predefined certificates or, create your own custom certificate, with the Corporate Owl plan. 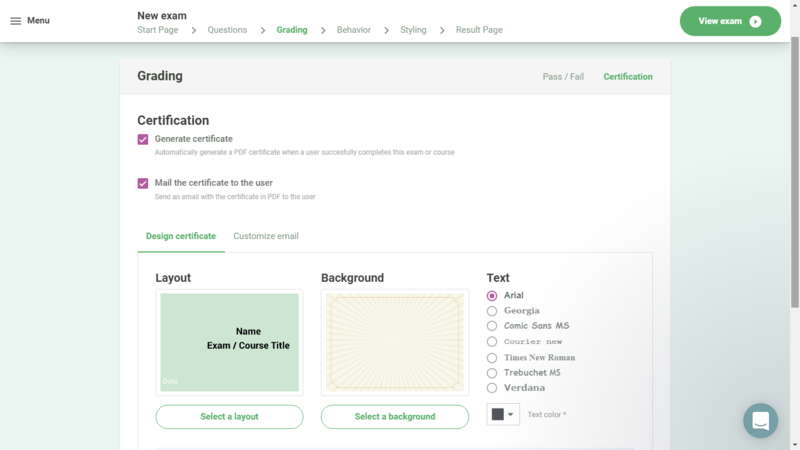 In our LMS you can upload the background image of your certificate and choose between multiple sets of data to be shown on the certificate. For example: the name of the participant, the name of the course and the date the certificate was earned. Of course, you can also use our online certificate-maker to create a certificate with your logo. How fancy is that? Set the rules for when someone should earn a certificate. For example, you have to pass the final exam with a minimum score of 70%. You can have your students download the certificate or have it sent to them by email. That's it folks. No more hassle. After the setup, it's completely automated. No administration work. No more printing certificates and sending them through snail mail. Sit back and relax and let our LMS certificate process do the heavy lifting.